Is there really any need to optimise your website? What does it really mean and how does it work? All very good questions indeed. The short answer to give on the first one is yes you really do need to optimize a website and for all the reasons that will be stated below. Optimisation – What is it? This is a general term used in the online marketing business for making your website and therefore your business more efficient, giving you maximum online presence, increasing your audience and giving you better and smarter return on your investments. However to optimize a business online there are so many avenues we have to go down and so many pathways to follow and navigate. You do not want to get lost on these roads, as all have to meet up somewhere for it to be as an efficient working structure as possible. If things break down or do not communicate well over all the different platforms, then they will disappear into the ether. So yes it is not only important, it is vital to optimize if you want your online business venture to be a success, you must have a proper map chartered, with a built in GPS that will navigate you through it all. Leading you safely to your destination with as little detours as possible. Content can mean anything that is worded on your website whether it be pages, posts or articles that are easily read by the Google machine, when it comes to searches. 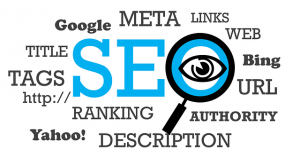 If Google likes what it reads and it can be easily found then it is more likely to place you higher up in the ranking, therefore on the first pages of Google. However this does not mean filling up your website with information overload, duplicated content or copying and pasting someone else’s hard work. This is not only plagiarism but will only make the Google machine mad and more likely to get you expelled from the search altogether. One must be careful and responsible about this. Apart from original/unique content being pretty crucial as to whether you are found in searches or not, certain techniques can be applied to make sure that happens. 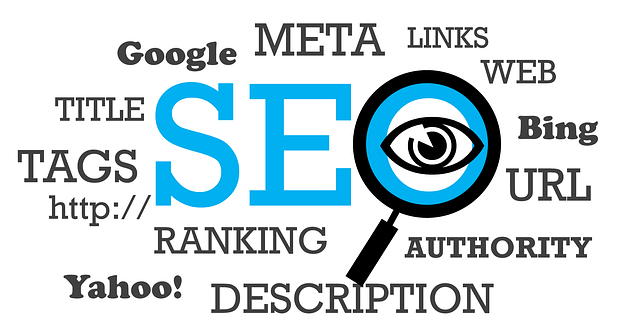 SEO or Search Engine Optimisation uses platforms and software that allows it to add to content, making it easier to be discovered. Imagine if you will, you are lost in the jungle and need to be found so you light a fire, (stay with me here.) The fire is the content, however a fire isn’t necessarily going to get you found by itself, anyone could have lit that fire right? Now imagine using the fire to make smoke signals. This allows anyone trying to find you being able to do so more easily, as now they know exactly where you are and what you are saying. Bingo! That’s what seo does, by using linking techniques and formulas, keywords in articles and content so Google will know instinctively what to reach for and where to place it. Putting yourself out there in the social media world can only add to the general performance of your website campaigns and your business enhancement. But doing this in a smart way can propel you forward much faster. Making sure that all the social elements are tied in nicely with the other aspects of your website is crucial to not only helping you get to where you need to be but maintaining that position. If you haven’t looked into optimizing your website for the mobile platform yet, then you better be quick smart. This industry is growing at a phenomenal rate and if you’re not on the bandwagon, then you are going to be left out on the plains, scratching your head and wondering where everybody is. Mobile marketing is an absolute must for your online business, this cannot be stressed enough. To find out more about that, just follow this link to How to Boost your Business with Mobile Technology. Or to find out how we here at Optimasit.com can help advance your online business with the best techniques on the market, then get in touch. We would love to help you. Now go forth and Optimize!